Jerry Fox,VP, CIO, Rockwell Automation Inc.
FREMONT, CA: Technavio, a global technology research and advisory company, announces a research report titled ‘Global Metal Casting 2016-2020’. The report foresees the global metal casting market to grow at a CAGR of over 6% until 2020. The report provides detailed study of market growth in terms of revenue and emerging market trends. The detailed segmentation is based on products (ferrous and non-ferrous), end-users (automotive, electrical and construction, and industrial machinery), Geography (APAC, Americas, EMEA) and key vendors in the market. The demand for commercial vehicles and construction equipment has been increasing for the past three years, and this trend will provide greater opportunities to vendors in this market. 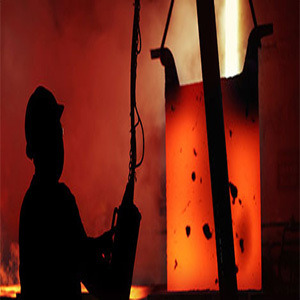 The ferrous casting segment governed the market during 2015. During the forecast period, the segment is predicted to grow at a slower rate thanthe non-ferrous metal segment. The metal casting market by the automotive sector was valued at 42.47 million metric tons in 2015. The automotive segment is expected to be the highest market share holder. The metal casting market by electrical and construction industry was valued at 28.22 million metric tons in 2015. Technavio researchers predict the global construction output to experience a meteoric growth and account for close to USD 14.5 trillion by 2025, growing at more than 70% compared to 2015. This growth will subsequently augment the global metal casting market until 2020. Fall in oil prices is affecting direct as well as indirect demand for industrial machinery; the world economy is likely to grow 3.5% in 2015 and 3.8% in 2016. This growth rates will have an impact on the demand for machinery, thereby boosting the demand for metal casting. APAC accounted for the highest market share during 2015. The growth can be chiefly attributed to the growth of the automotive and industrial sectors in APAC, which has led to the increase in demand for metal casting. Technavio’s analysis suggests that in APAC the maximum demand will arise from emerging economies such as India and Indonesia and these countries will be the major contributors to the metal casting market during the forecast period. The key vendors analyzed in this report are Alcoa, Bharat Forge, Hitachi Metals, and Precision Castparts. Other prominent vendors in the market include Amcol Metal Casting, Georg Fischer, Schuler Group, and ThyssenKrupp.